The new season of Girl Code premieres October 1, so it's time to get ready for a whole new batch of funny from this great group of lady comics. 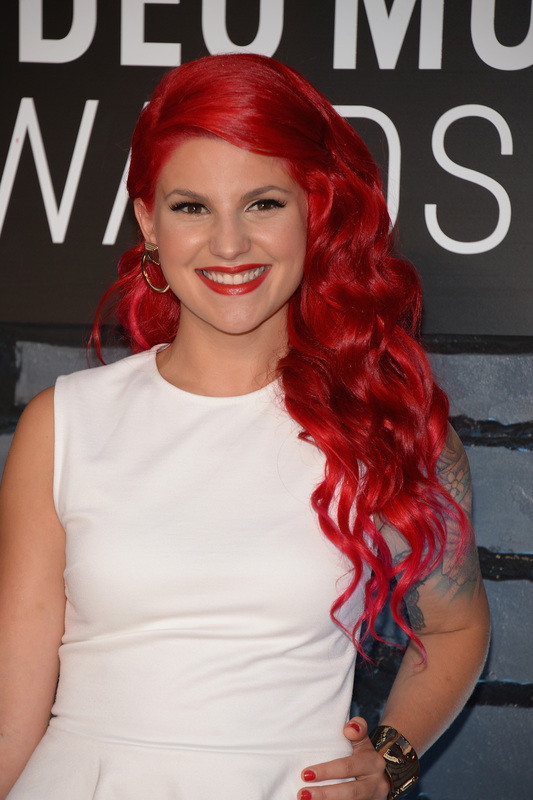 One my favorite Girl Code cast members is red-haired comedian Carly Aquilino, whom you will immediately recognize if you've seen even a single episode of this show. She's the one with the flaming red hair, a half sleeve of tattoos, and the heavy New Yawk accent. On Girl Code, Aquilino dispenses advice on everything from dealing with periods to meeting your boyfriend's family to fashion. She's like a cool, funny older sister who can guide you through life and teach you how to avoid the mistakes she's already made. Aquilino puts on a pretty convincing schtick, emphasizing her life as a party girl and complete screw-up for her act. And she may know how to have a good time, but Aquilino's career is certainly no disaster. Girl is only 23, and she's already killing it. Not only does she have a steady gig at Girl Code, but Aquilino is also booking stand up shows around the country and hosting live events for MTV. Let's check out her coolest projects, so you can say you knew this star on the rise before she blew up (and it can't be too long now). Last New Year's Eve, Aquilino and Guy Code talking head Charlamagne tha God co-hosted MTV's end of the year special in Times Square. They interviewed performers, recounted the best moments of 2013, and generally acted like the coolest BFFs ever. And earlier in 2013, she and her then-boyfriend (and Guy Code personality) Chris Distefano co-hosted MTV's Sofa Saturday with Chris & Carly. In between movie airings, the pair talked about their relationship and exchanged witty banter about the pop culture news of the week. Note to MTV: it's probably time to give Aquilino her own solo hosting job, don'tcha think? One of Aquilino's most recent projects, which began just a few months ago, is a series of YouTube videos starring her alter ego, Jazmin. Jazmin is from Staten Island, was fired from Petco, and "likes to help girls out when they're ugly." She is also, under no circumstances, a Basiq Bich. Aquilino's character is hilarious, but what really makes the videos stand out are her subtitles, which help non-New Yorkers understand Jazmin, and provide some unique alternatives to standard English spellings. Follow her makeup tips at your own risk. So far, there are only two Jazmin videos posted, but I would love to see more of this character. Until then, I'll settle (though it's not exactly settling when it's awesome) for more Aquilino on Girl Code.